The San Juan Citizens Alliance has released public comments regarding a proposed land swap to expand Silverton Guides’ heli-ski terrain. A review of comments show about 85 percent of some 370 commenters are opposed to the swap. More than 85 percent of about 370 people who commented on the proposed expansion of Silverton Guides’ heli-ski terrain near Silverton oppose the land exchange, new information shows. Last month, the San Juan Citizens Alliance filed a Freedom of Information Act request for the public comments on the project after the Bureau of Land Management’s Gunnison field office denied their release. On Tuesday, the comments were uploaded in their entirety to the San Juan Citizens Alliance’s website, which shows commenters overwhelmingly are opposed to the proposed land swap. Last fall, the Bureau of Land Management held a public comment period about the land swap, which would increase Silverton Guides’ heli-ski terrain by 10,696-acres, for a total of 25,074 acres. The swap has caused a rift between those who say it would be a boost to Silverton’s winter economy and those who argue it would compromise prime backcountry ski terrain while benefiting only Silverton Guides. That report breaks down comments by concerns raised, such as how the land swap would affect recreation, wilderness areas, social and economic resources, as well as wildlife, among other issues. It does not, however, specify how many comments are for or against Silverton Guides’ request to expand its heli-ski terrain. “SJCA was required to file a Freedom of Information Act request to obtain the comments, and is now following through with their commitment to promote transparency in federal government by making the comments readily available to the public,” the group said in a statement. 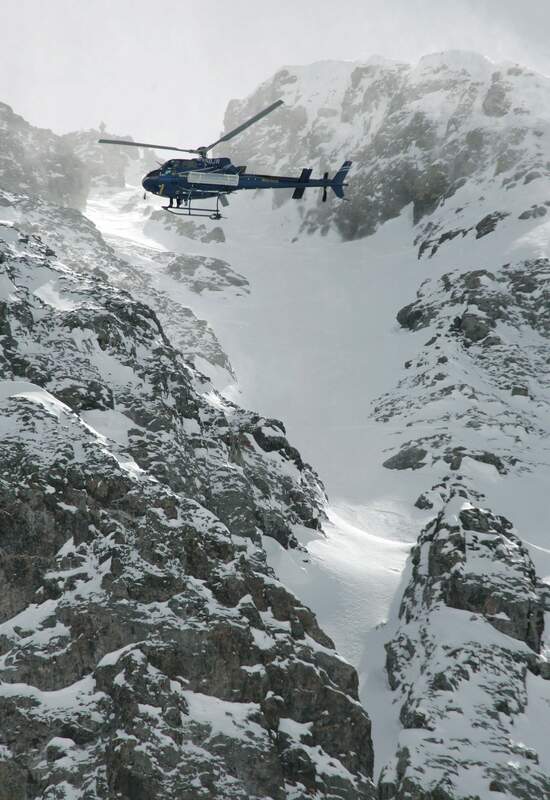 Silverton Mountain, about six miles north of Silverton, is owned by Aaron and Jen Brill, who in 2008, purchased Telluride-based Helitrax’s permit for heli-skiing in certain areas of the San Juan Mountains. The Brills submitted a request to the BLM to remove five active permit areas for heli-skiing that total 5,556-acres in exchange for four other areas around Silverton, about 16,250 acres. Grouse Gulch, Cinnamon, Houghton, Poughkeepsie and Ross Basin would be removed from Silverton Mountain’s recreation permit, and Illinois/Hancock, Southeast, Round and Minnie/Maggie gulches would be added. The BLM’s Waters said a final decision would be announced in early April. He did not immediately respond Tuesday afternoon to requests for comment. To view public comments on the proposed expansion of Silverton Guides’ heli-ski terrain near Silverton, visit http://bit.ly/2ozZDAs.